The Tupelo Haunted Castle has been the states top haunted attraction for over 10 years! 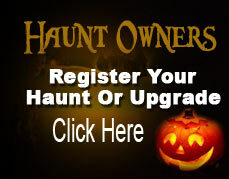 With a new layout and events each year, we bring the very best in haunted entertainment to the South! We are proud to announce we will be offering 2 new events in addition to our award winning Haunted Castle, “Lost in the Darkness”, and “Delirium”. Make plans now to see why we are rated the top haunted attraction in Mississippi! Admission for each event is $10.00 per person. For the 2018 year we are offering a Fright Package Ticket that includes admission to any 3 events for $25.00 per person! Tickets can be purchased from any admissions booth on site. The castle is designed for all ages and abilities and can be catered to all needs. We require adult supervision for children under 8.